I am not overly familiar with the works of the Romanian writer Ciprian Mitoceanu. As a matter of fact, I cannot cast a legitimate opinion on any of his writings, as personal and subjective as those are I read only a couple of his short stories and therefore I am unable to offer a full point of view on his works, in spite having two of his novels on my library shelves, “The Dawson Amendment” (Amendamentul Dawson) and “In the Blood of the Father” (În sângele tatălui). Ciprian Mitoceanu also published another novel, “Fangs” (Colţii), but that one is as distant as any of my thoughts on his works. Still, in the light of what I said on Monday about the state of our speculative fiction and the steps we need to take in order to move forward and to build a strong community of genre writers, editors and readers I am delighted to see a collection of Ciprian Mitoceanu’s short stories available in English. Self-published (we are still working and struggling to bring our writers on the English market through traditional publishing, be that through a small, independent press or a more established publishing house), available in electronic format on Amazon and translated by an admirable and talented Romanian translator, writer and editor, Mircea Pricăjan, “Dark Tales of Sorrow and Despair” gathers Ciprian Mitoceanu’s five short stories and novellas exploring the Romanian horror. 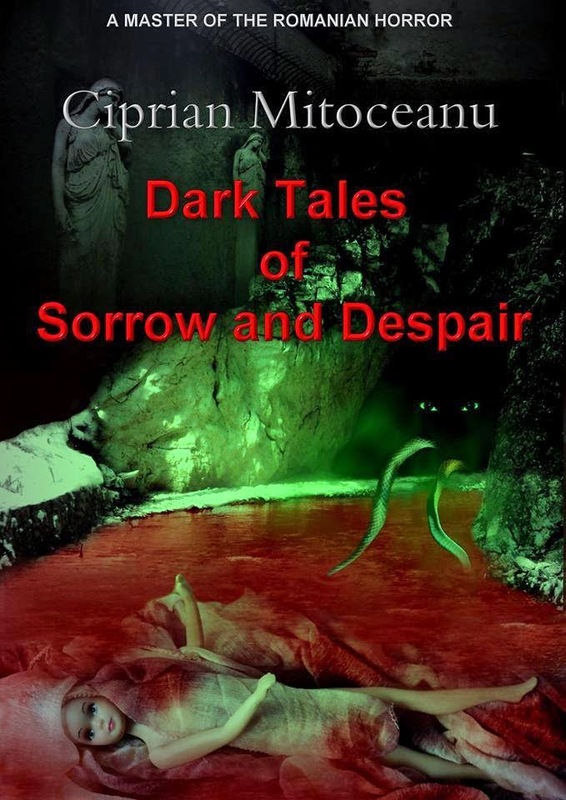 I would definitely give Ciprian Mitoceanu’s “Dark Tales of Sorrow and Despair” a chance, even if it’s just a small taste of the Romanian genre literature. Because I keep saying, the Romanian folklore, legends and traditions offer a very fertile ground for the horror and dark fantasy genres, unfortunately little explored at the moment but with so much potential. And future, as I’ve started to notice these days. Mitoceanu's writing is woven to the effect of inspiring horror, both mental and physical, his stories are plot-centered, and his characters, most of the times easily recognizable as Romanians, are deftly drawn to extract the dark side of human nature. Mitoceanu's biggest accomplishment is his showing the world that Romania has a lot of frightful stories to tell. And Romania's lucky to have him for that task, as his writing abilities in a very difficult genre are indeed worthy of praise. Step into Ciprian Mitoceanu's horrific worlds, where sorrow and despair shake hands with (the illusion of) hope, and you will surely be getting a taste of what the young Romanian horror has best to offer.